“An ambitious and masterful exploration of our relationship with the horse…a gem to behold” – Greg David, TV, eh? Thursday, February 7, 2019: Edmonton based Handful of Films is pleased to announce that Equus – Story of the Horse, its critically acclaimed 3-part exploration of our bond with horses has received eight Canadian Screen Award nominations. Nominations were announced this morning at the Academy of Canadian Cinema & Television press conference in Toronto. The filmmaker and host, anthropologist Dr. Niobe Thompson, has earned a global reputation for taking his audiences on wild adventures to remote locations, while making a laboratory of his body and mind. For the 2012 documentary, The Perfect Runner, he ran Canada’s 125-km Death Race as an experiment in human endurance. For the 2015 series The Great Human Odyssey, he learned to breath-hold dive in order to hunt with Badjao free-diving nomads. Now, for Equus – Story of the Horse, Thompson rode with horse nomads in some of the most extreme environments on Earth, from the Arabian Desert to Mongolia’s Altai Mountains to northern Siberia in mid-winter. Métis cinematographer Daron Donahue is one of Canada’s most decorated documentary shooters, and has directed photography on six of Thompson’s documentaries, winning a Gemini for “Best Photography” for Code Breakers in 2011. He has over 30 years of experience as an expedition cinematographer, having filmed in Afghanistan, Siberia, the Arabian Desert, Papua New Guinea, Easter Island, the Kalahari, Mongolia and many other locations. Working alongside Donahue, aAron Munson is known for extreme-weather expedition cinematography, having filmed in 25 countries on five continents, including winter shoots in the Canada’s and Russia’s High Arctic. Munson is also an emerging multimedia artist, with recent and ongoing exhibitions of his photography and experimental film work. In 2019, his work on the short docFast Horse was a winner at Sundance. “Stunning visuals… a gem to behold!” TV, eh? 30-year veteran editor Scott Parker splits his time between long-form documentary projects in Canada and community development work in collaboration with Khoisan Bushmen communities in Botswana and Namibia. Working with the National Film Board, he also directs and shoots community-engaged films in Western Canada, notably a series of pieces capturing rancher and indigenous perspectives of landscape and identity on the Western Prairies. 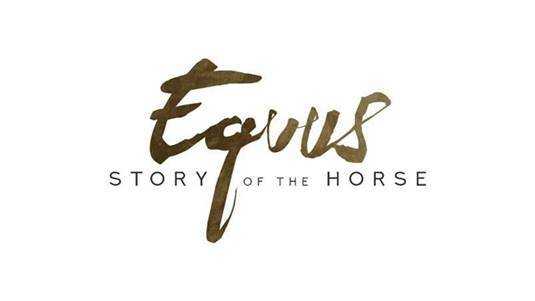 For Equus – Story of the Horse, Brenda Terning, one of Canada’s most experienced editors of science-and-nature documentary, mentored the emerging editor Krystal Moss. 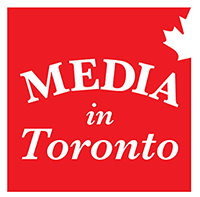 Terning’s work has been nominated for an Emmy, won Canadian Screen Awards for “Best Science & Nature Documentary”, and received a Canadian Cinema Editor Award. Equus was the first long-form broadcast documentary Moss has edited. Composer Darren Fung won “Best Original Music” at the Canadian Screen Awards for his last collaboration with Thompson (Great Human Odyssey) For Equus – Story of the Horse, Fung composed over 90-minutes of music for full orchestra and choir, and conducted members of the Edmonton Symphony Orchestra and Pro Coro Canada. Milan Records released the musical score globally on iTunes and other digital platform last month. John Blerot began his sound recording education at age 16 and has been working with audio professionally for more than 25 years. John is both a musician as well as audio engineer, with the unique ability to receive the world through sound. The recipient of seven Alberta Motion Picture Industry Awards and nearly 30 nominations, his position as a premiere audio authority is well established. InEquus – Story of the Horse, anthropologist-turned-filmmaker Niobe Thompson takes viewers on an epic journey across 11 countries on three continents and back in time to the mysterious beginnings of the horse-human relationship. Over three spectacular hours of cutting-edge science and gripping adventure, viewers follow the evolution of horsepower, discover how our ancestors tamed the horse, and learn fascinating new insights into the body and mind of this captivating animal. This is not the first time the Academy of Canadian Film & Television has honoured the films of this hybrid Host and Director. Thompson’s last major series, Great Human Odyssey won “Best Science and Nature Documentary” and “Best Original Music”. Since leaving university research for filmmaking in 2010, his documentaries have won four CSA awards, and eleven CSA nominations. Equus – Story of the Horse was produced by Edmonton-based Handful of Films to launch the 2018/19 season of CBC’s “The Nature of Things”. Funding came from CBC (Nature of Things), PBS “Nature” and “NOVA”, as well as ZDF and Arte in Germany and France. The series is distributed globally by Montreal-based Film Option.